An eye-makeup kit consisting of 3 eye brushes that help to go from everyday casual to trendy party chic. 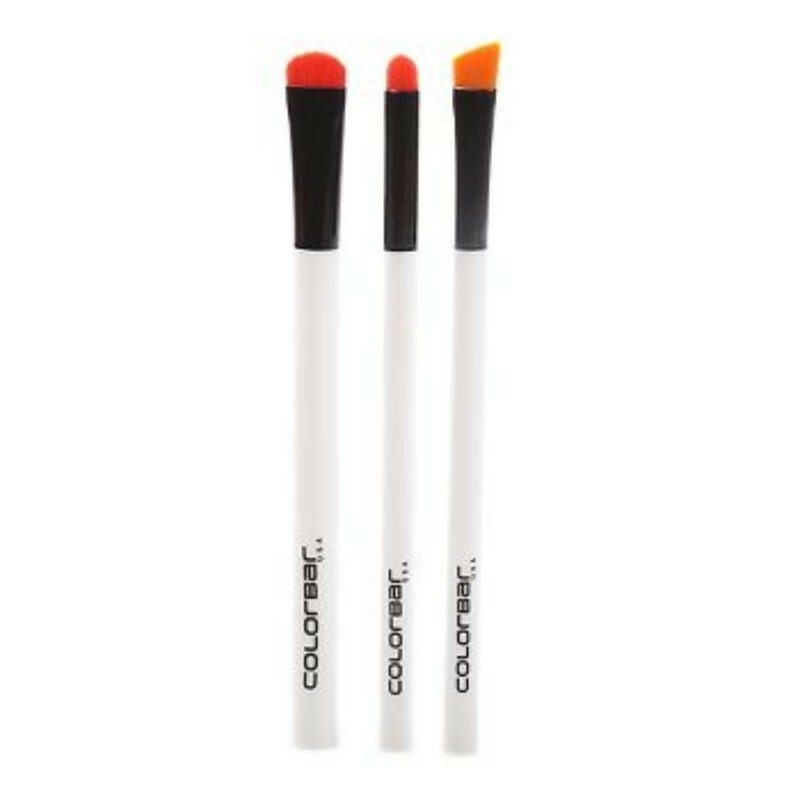 The tightly packed soft fibres of the brushes make applying eye makeup nifty. By spreading evenly, they blend and distribute the powders and pigments perfectly, every time. The contoured shape of the Eyelluring Eyeshadow Brush helps you apply eyeshadow like a professional. The Angled Angel Eye Defining Brush comes with twice the utility with its quirky shape and helps apply eyeliner or fill eyebrows. The dainty Smokin' Eyes Smudger Brush helps smudge liner or shadow to keep you looking gorgeous. - Eyelluring Eyeshadow Brush: Use this brush to blend eyeshadow with soft and firm strokes. Continue the process until you get your desired look. Wash the brush with cold water and a mild shampoo. Rinse well and leave it to dry. - Angled Angel Eye Defining Brush: Use this brush to either apply eyeliner or fill your eyebrows. For eyeliner, place the brush along the upper or lower lash and draw along the line. For brow-filling, use light and feathery strokes and fill the brows by following the natural arch. - Smokin' Eyes Smudger Brush: Smudge eyeshadow or eyeliner with this brush with small and controlled strokes while pressing it against the lash line. - Clean the brushes by washing them with cold water and a mild shampoo. Rinse well and leave it to dry.